On Monday night I was able to attend the Lafayette City Planning Committee meeting as the plans for our proposed community center was on the agenda for approval. I am thrilled to share that our plans were accepted unanimously by the committee. Next Monday night (11/14), St. Perpetua Parish is hosting a wine & cheese Town Hall meeting to discuss the progress on this project and answer questions. You are all invited to join us from 7-8pm to hear more! We all have days that are disastrous but last Friday was a wonderful disaster.....drill! Thank you to our dedicated staff for practicing each and every aspect of our plan and for the thoughtful and detailed debriefing conversation later that afternoon at our staff meeting. I also appreciate our parents and other adults who rearranged their day and patiently waited during the pick up process. Each school family should have received a phone call with a recorded message from me, a text message, and an email. If you did not receive each of these, please email the school office (kfogarty@csdo.org or skozel@csdo.org)so we can review our student data and ensure accuracy. As we enter the holiday season, it is a good time to reflect on all our abundant blessings and remember those who are less fortunate. Please see below for details on our current outreach projects. Finally, as we near the end of the calendar year, please remember the timeline for your scrip requirement. Scrip purchases completed by December 31 will count toward your requirement as listed in your 2016-2107 tuition contract. Another Scrip profit report will be sent to you in early December to give you a current status. Thank you for your cooperation! Our school community works diligently to generate Scrip profit. We are asking that purchases be paid by check or cash whenever possible to avoid credit card fees. Our new school website is live! Log on and bookmark www.stperpetuaschool.org to see our new look! Teachers and staff will be updating and modifying content over the next few weeks. Key information is available on the new site and our previous website will soon be inactive. Thank you to all parents for participating in our annual Emergency Drill. You should have received an email, a voicemail and a text (just prior to the drill) alerting you about the drill. If you did not receive the alerts it means that we do not have your current/correct contact information. Please email the office (kfogarty@csdo.org or skozel@csdo.org) if you did not receive our alerts/have updated contact information. We are in need of yard duty substitutes! If you have a flexible schedule and would like to either earn $20 or an hour of volunteer time for each yard duty substitute assignment, please let the office know you'd like to be added to our sub list. Ladies Night Out 'Holiday Sip & Shop' is Wednesday 11/16! Please plan to support our 3rd biggest fundraiser at St. Perpetua School! As an added bonus, your student(s) will receive a free dress pass when you purchase a ticket! We have some amazing new vendors this year and all will bedonating a percentage of sales back to St. Perpetua. We sure hope to see you there! You won't want to miss it. Bring your friends and come shop for jewelry, home & gift items, food & spirits, and accessories & apparel. 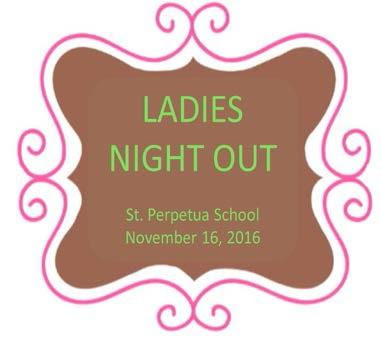 Make it a fun night while you benefit St. Perpetua School. If you haven't experienced this event yet, don't miss out this year! We hope you can join us on November 16 for the 4th annual Ladies Night Out and Holiday Boutique. Please seeattached flyer for more details. Each year, St. Perpetua donates Thanksgiving baskets to the Monument Crisis Center to help local needy families enjoy the Thanksgiving Holiday. In order to help those families, we ask that each student bring in one item according to the class assignments below, as well as $3 towards the turkey gift cards. Thank you in advance for your generosity! Students can bring their donations directly to their classrooms. We have two Christmas Outreach programs during the month of December. We are also embarking on a 'holiday challenge' for three food items that the Monument Crisis Center's pantry always needs. If each family can donate canned tuna, peanut butter and 'Cup 'O Noodles', three of their most needed items, then we will be sharing the spirit of the season with families truly in need. 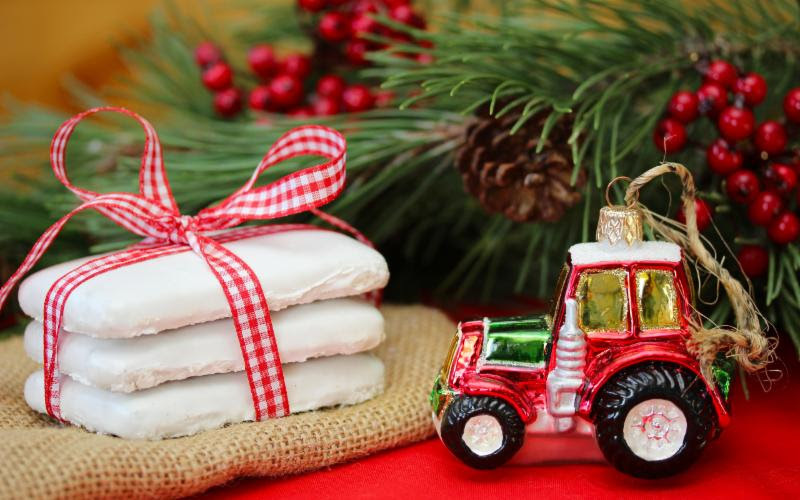 Items can be collected through December 12. For our November 16th sale at recess, Student Leadership will be selling pumpkin-themed treatssuch as pumpkin bread or muffins, pumpkin-shaped cookies, pumpkin seeds, etc. Cost is $0.50 per item. No advance purchase is necessary, so students can bring their money the day of the sale. Note to parents: These items will NOT BE ALLERGY-FREE items. Our 10th Annual Tuition Assistance Fund campaign (Formerly the Annual Fund) will run through November, 2016! 100% of donations collected are designated to support St. Perpetua tuition assistance. You should have received the annual letter and donation form in your mail. Extra copies are available in the office. 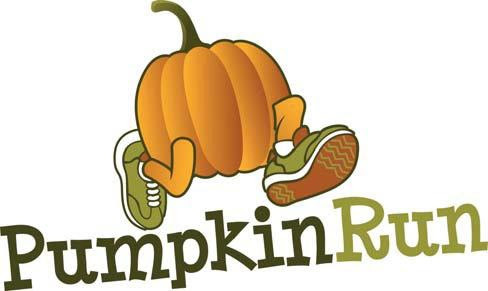 Join us as we continue this annual tradition of keeping fit and having fun on Thursday, November 17th for the Fourth Annual Panther House Pumpkin Relay Run! Come over to Panther House at 3pm. We will be doing our Relay Run on the lower lot in front of the church (weather permitting) from 3:30-4pm. Click here for more information. Time to think about December! We've got fun workshops lined up BUT YOUR CHILD MUST BE SIGNED UP TO PARTICIPATE. These workshops are very popular and fill up very quickly, so please don't wait. First come, first served. Click here for flyer. 5" X 7" matted and framed gift for anyone in their life-Mom and Dad, Grandparents, siblings, friends. Then on the second Tuesday, your child will make wrapping paper and gift card. Lastly they then will wrap it all up. Signup genius is now open for Panther House snack donation during additional months. Remember that you gain service hours for your contribution. Thanks in advance for your help. You need to plan on enough food for 65 thankful children. Click here to sign up. Please send in December calendars now, since we jump in to December as soon as we get back from break. Click here for calendar. Lamorinda Theatre Academy is our after-school partner for our Spring '17 Musical performances. There are 4 spots remaining for the 3rd-8th grade Spring Musical. Click here for the registration link or find it in 'This Week's Flyers' section. 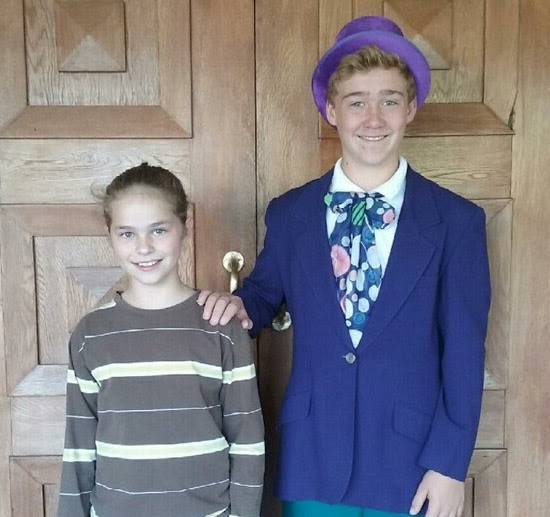 32 St Perpetua students (3rd - 8th grade) have been in rehearsal since September to bring you this comedic and fantastical show based on the beloved classic by Roald Dahl. The show follows young Charlie Bucket and his Grandpa Joe as they join a small group of contest winners who get to tour the magical and mysterious factory of eccentric candy maker Willy Wonka. Show is 75 minutes with no intermission, appropriate for the whole family. Seating is general. Get your tickets in advance or with cash at the door. Performances at Stanley Middle School's MUR. 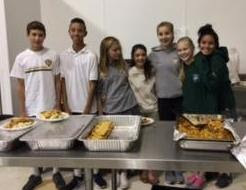 Our 8th grade class split into teams to shop, prepare food and serve a delicious meal to the patrons of the Concord Shelter as part of JHOP (Junior High Outreach Program). Here	are	some	November	enrichment events	sponsored	by	SEEDS! This week every class visited the garden for class time. Our junior high students harvested the last of the summer veggies and flowers. It was a bit crazy to be picking tomatoes, squash, tomatillos, eggplants, zinnias, basil, tarragon and cilantro on November 8th! They cleared the beds in preparation for the planting of our winter vegetables, tied herbs for drying, and made flower arrangements for every classroom! TK, Kindergarten, first, second and third grade read Strega Nona's Harvest, made leaf prints and planted seeds. Our fourth and fifth graders were busy harvesting all of the Amaranth plants saving the seeds for later use when we will make cereal and cookies. They also starting planting in the veggie beds. It was a very busy and productive week in the Garden of Learning! Cafe' Perpetua will be closed this Friday due to the school holiday. We look forward to seeing you next week! December 31 is fast approaching! Our Scrip tracking year runs January 1 through December 31. Your current scrip profit requirement needs to be met by 12/31/16. Another Scrip profit report will be sent to you in early December to give you a status on your current Scrip profit. Students in grades K-6 are challenged to read six (6) hours over the next three months. Any type of reading counts, except for school work. Please encourage your child(ren) to participate! Student Reading Logs are available on the school website at http://www.stperpetuaschool.org/programs/library/_read_to_succeed_2016-2017 and should be coming home soon. Return the Student Reading Log to Mrs. Hinton as soon as your child is done reading. The Library bulletin board will track classes progress, during the month of January. We would like to see 100% participation from every class. Each student in grades K-6 who completes a Reading Log will receive a free ticket to Six Flags Discovery Kingdom for Summer Break. Classes with 100% participation will receive an extra bonus. Please direct all questions to Mrs. Hinton at shinton@csdo.org. Let's all Read to Succeed! Need Volunteer Hours? Double Volunteer hours? Science Night needs volunteers for our January 26 event. You can sign up on your classroom sign up or email Anne Marie Moggan. Science Night requires 70 parent volunteers so your help is hugely appreciated! Opportunities for set up, event help, and clean-up at the end of the evening. Clean-up crew gets double hours! Email amoggan100@gmail.com. As a reminder, you cannot volunteer for any school or class activities (including yard duty) until your are placed on the "all cleared" list by completing three items for the office. Click here for information on LiveScan fingerprinting, Safe Environment Training, and TB Clearance. Each family has received an email to sign up for yard duty shifts on Sign-Up Genius. Click here for link to Sign-Up Genius. If you would like to be placed on the Yard Duty Sub list, contact the office and your name will be added to the list. -The Timely Perpetuan is a monthly e-newsletter that keeps you informed about the many things happening at St. Perpetua. If you don't receive it please visit the Parish website and click on "Join Our Mailing List." Thanks to all who contributed to the "Share the Warmth" drive last week. Even with the enormous outpouring, there are still over 20 refugee families that we are not able to fulfill their requests for coats - the greatest need is for children's coats...however all sizes from infant to adult will be appreciated. These are needed by Friday, Nov 11th - as they will be distributed over the weekend. Specifically, the sizes with the greatest need are boys 2 through 10 and girl's 4-8. There are 31 children that fall into these ranges that are without a winter coat. However any size coat, jacket or heavy sweatshirt is greatly appreciated and will be given out immediately to those in need. The No One Left Behind organization is getting a new refugee family EVERY DAY! so the need is great. Thank you for your help.